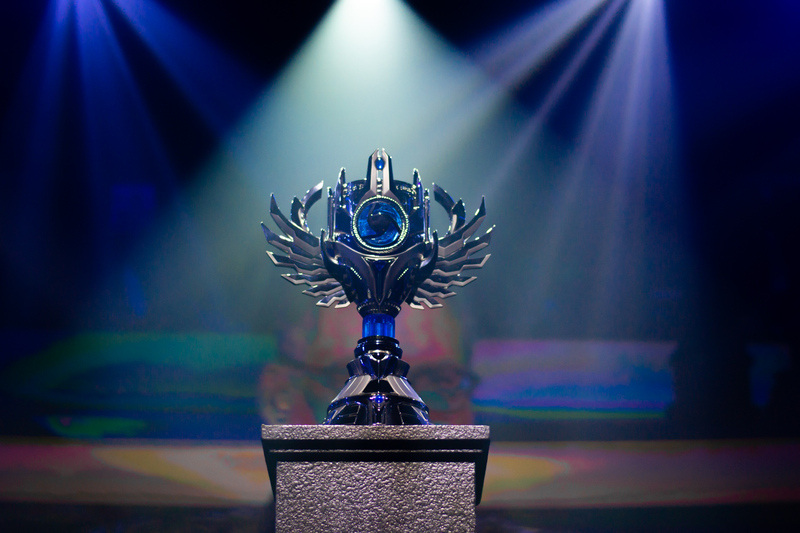 For Blizzcon 2017 and beyond, Blizzard wanted a new Championship trophy for their Heroes of the Storm franchise. 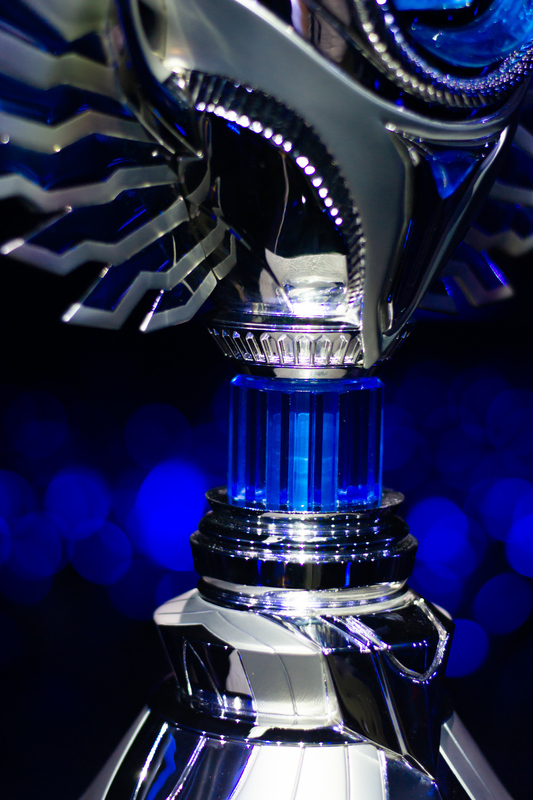 This was designed to follow the aesthetic of their Mid Season trophy, with all of the design dials turned up a few clicks. 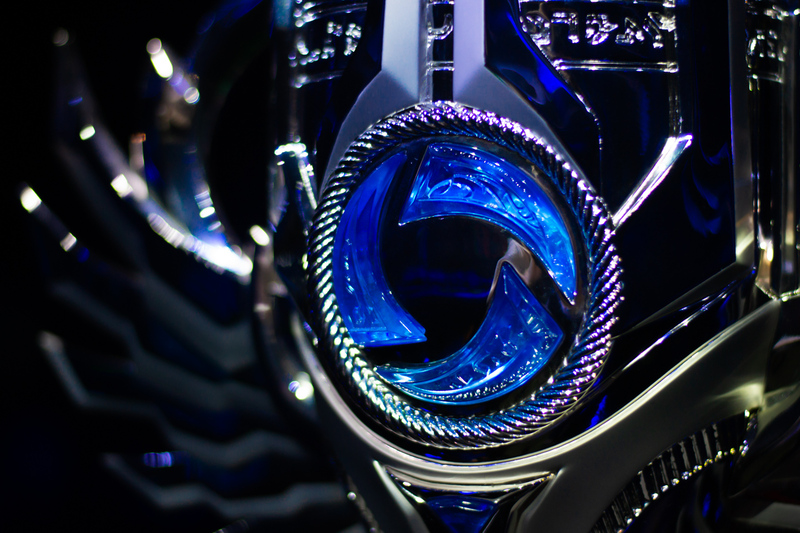 Bigger, shinier, more parts, and way heavier! 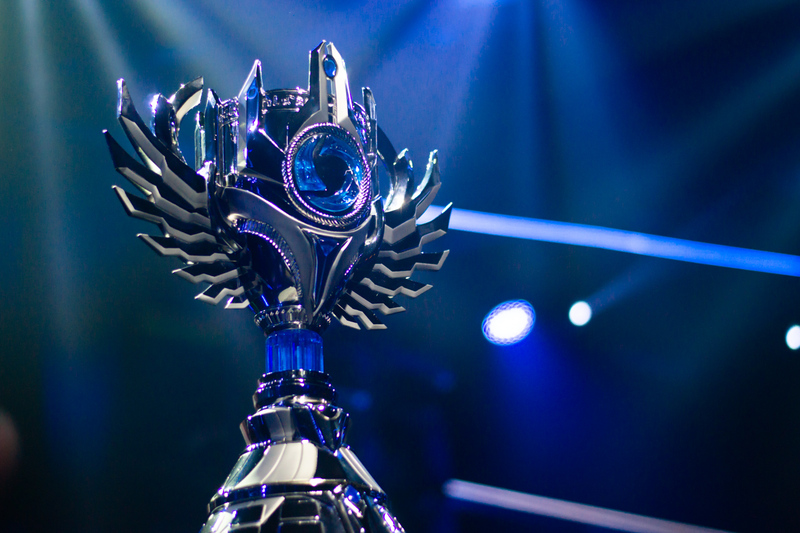 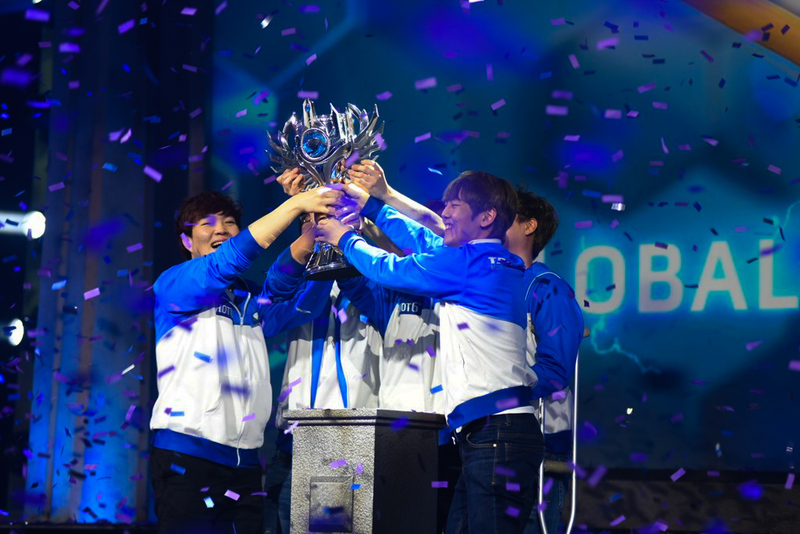 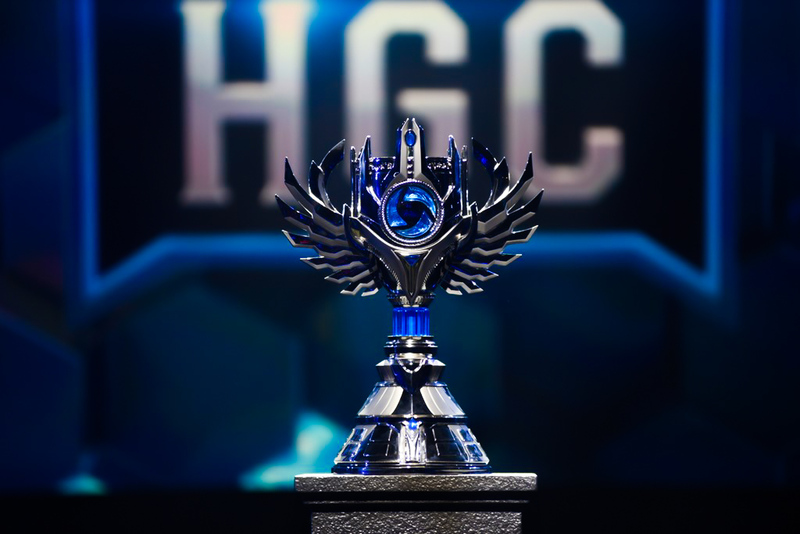 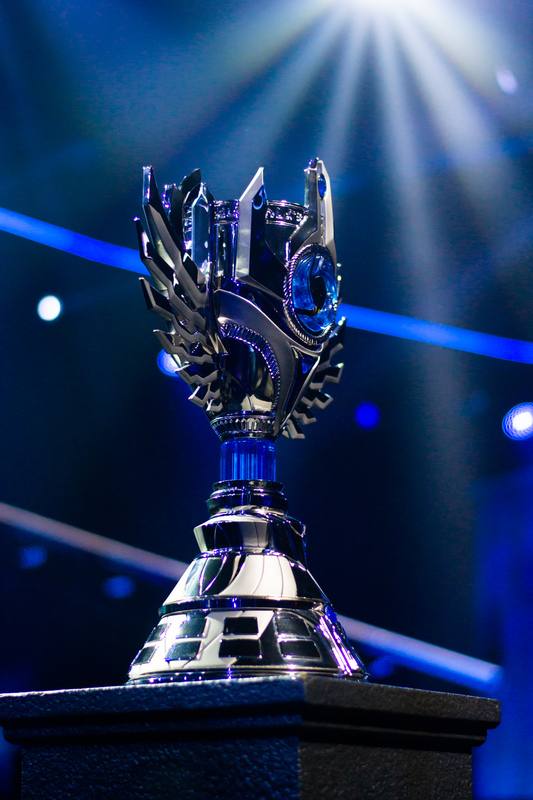 The HotS Championship trophy incorporates a significant amount of fine details across the entire surface of the piece, numerous blue-clear tinted accent panels, and a huge increase in scale from the Mid Season award. 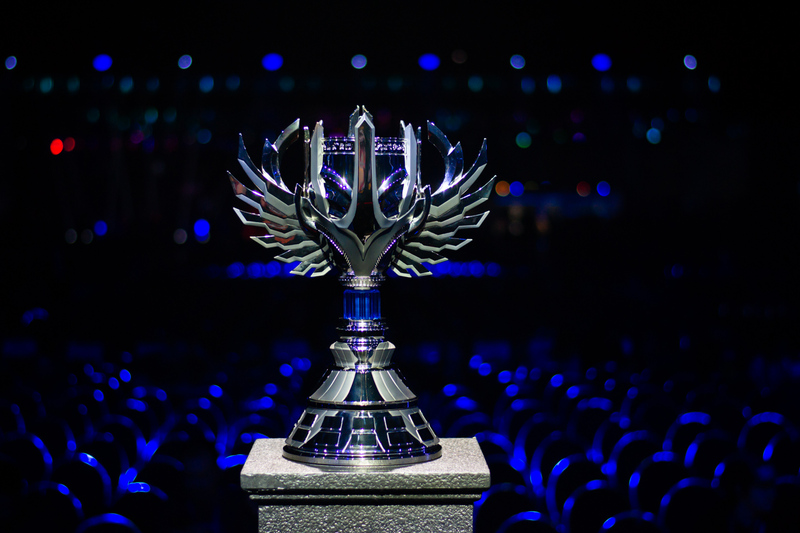 Measuring a bit over 26″ tall and weighting close to 25lbs, this is one of our largest and most complex eSports awards completed to date. 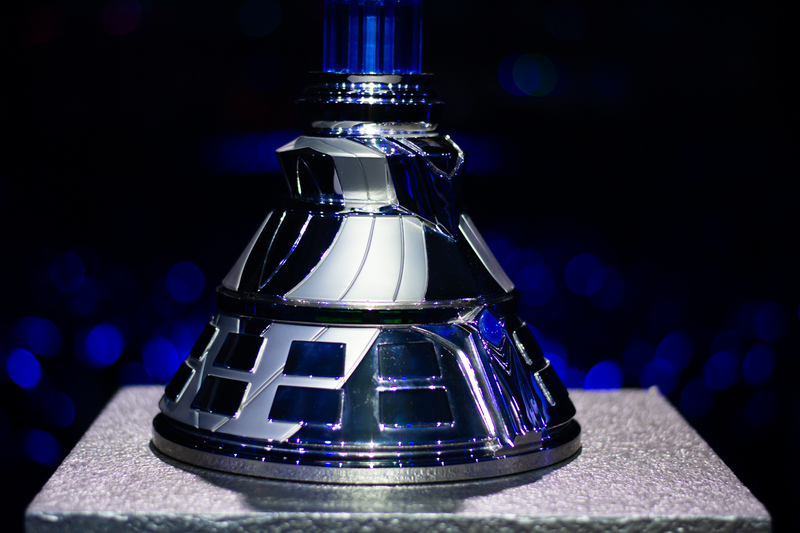 In order to facilitate shipping and storage, the wings were crafted as separate elements which can be removed with a series of hidden bolts. 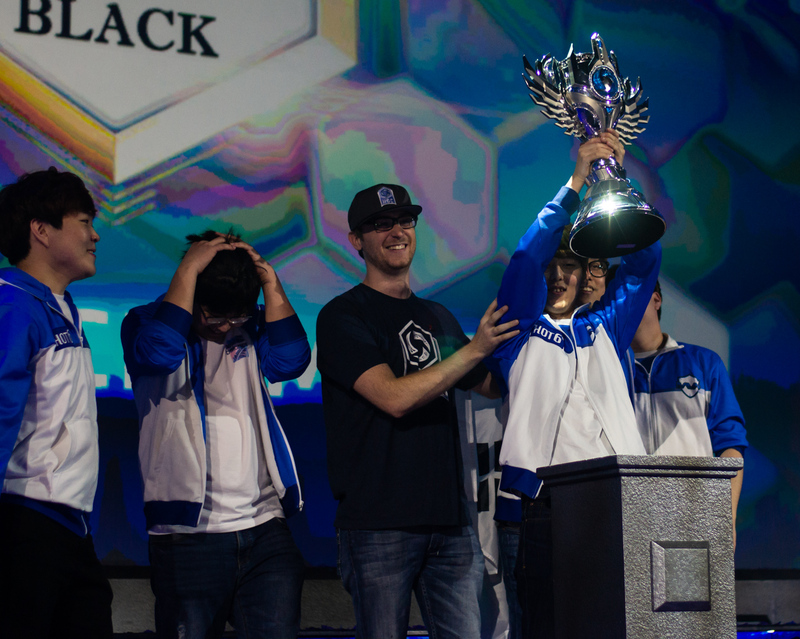 Congrats to MVP Black on being the first team to lift the new cup, and good luck to all the future competitors!